Frustrated with school? The answer might be homeschooling! 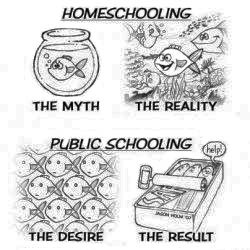 What is homeschooling? Read Homeschooling Myths Explained and watch the video of Laurie's interview on Joy in Our Town, discussing socialization, child-led learning, and more. How do I begin? In my Ten Steps to Successful Homeschooling, the first step is to understand the legal requirements: Step One: Know the Law. Where can I find support groups , classes, and group activities for my child? Step Two: Support Groups includes a list of Public Classes for Homeschoolers. What about curriculum? How do I know what my child should be learning?Consider child-led learning, which takes into account Your Child’s Interests and Learning Style. What is child-led learning? Read The Fully Engaged Student and Educating the Whole Child. Watch the video Hackschooling Makes Me Happy, a TED talk by a 13-year-old. Read more articles and reviews. Curious about grade level and standards? Read about The Myth of Grade Level Standards. More questions and answers can be found in the FAQ and RAQ (Frequently or Recently Asked Questions). Find recommended books and resources here and, also listed by subject on the sidebar. Fun, free educational activities are listed, organized by subject and location. All questions on education and parenting are freely answered - see Ask Laurie. Read what people are saying about this website and about Laurie as a teacher. The video that accompanies the Fox News article Homeschooling New York City children (by Dana Archin, 10 October 2017) includes an interview with Laurie. idNYC is the new, free identification card for all New York City residents age 14 and up, which gives all of us the opportunity to show who we are — New Yorkers. Benefits include free admission to a long list of museums and cultural institutions. AERO Conference 2017 at the LIU CW Post Campus on Long Island, August 2-6. Keynote speakers include: Jonathon Kozol, Peter Gray, John Taylor Gatto, and other luminaries in alternative education. Free Workshops for Kids at Home Depot. Usually one Saturday a month, 9:00 am - noon. All kids get to keep their craft, receive a FREE certificate of achievement, a Workshop Apron, and a commemorative pin while supplies last. Free Folk Open Sing on the first Wednesday of each month. Bring your voice, instruments, friends, neighbors, and children. Drop by for a couple of songs or the whole evening. At the Ethical Culture Society, 53 Prospect Park West, Brooklyn (near 2nd St.). Directions: F train to 7th Ave.; Q train to 7th Ave.; 2/3 train to Grand Army Plaza. Hosted by Ethical Culture and the Folk Music Society of NY. Laurie Block Spigel is a home educator who has lectured and written articles on education, parenting, and raising a family in New York City. The daughter of university professors, she has had the good fortune to meet many educators in her life, including award-winning professors and Disney Teachers-of-the-Year, whom she has relentlessly questioned. 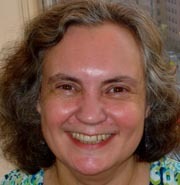 As a long-standing member of NYCHEA and a veteran homeschooler, Laurie has been interviewed on public radio, public television, by the New York Times, and by Le Point Magazine. Laurie also teaches poetry and creative writing to children. She created this website in honor of the children and this beautiful city we call New York. "If you want to change the future, reach out and touch the life of a child." "Education is more than the filling of a pail, it is also the lighting of a fire"
"If you plan for a year, plant rice. If your plan is for a hundred years, educate your children." What's Free or Cheap in NYC? As the official Resource person for NYCHEA, this is the question I was asked most often. Here is a list of great deals, literally hundreds of educational offerings in NYC, for preK - 12, all free or a bargain. Look here for classes, family activites and teen internships. If you know of any other educational activities to recommend that are free or cheap in NYC, please send us the infoand we'll add it to this amazing list (regularly updated). Ask Laurie (Advice Bulletin board). Send in any question on education, parenting, or homeschooling, and I will do my best to post a response. Anyone else is also welcome to send a response to the question. Travels with Laurie In and beyond NYC, find suggestions for field trips (link to travel articles) and a-typical summercamps and camps for homeschoolers and families. If you have a field trip suggestion or a camp review to post on this page, send an email — Laurie [at] HomeschoolNYC.com. KIDS: Every day is better if you read a poem! Read poems written by other kids. If you want to read some of Laurie's poems, click here. Homeschool Free Stuff - a mega-list of giveaways, including a free newsletter. Dover Publications offers a weekly email with links to free content from their books. "Your site is just ... heaven sent. I did spend more time on it when we first started a few weeks ago, and then throughout the past few weeks here and there, but I have once again been reading all the gold nuggets of information since yesterday. Your treasure trove of information commands respect. You must have been thanked countless times. Please add my appreciation and admiration to the collection!" "Thank you so much for all of the work and dedication to your emails and the website! I am a home school child who is now about to start home schooling her children – and I am thankful for the generous help from yourself and others! " "Hi there! I’m new to your site, but I loved seeing all the resources you have compiled and shared! Thank you!" "My name is Santina and I am a Science teacher for some wonderful students at Craft Central Schools in Virginia . We are currently studying Astronomy and I just wanted to let you know that we have been using your page of Science Resources. It's been so helpful for our project in class. My students just absolutely loved your site!" "Thank you for sharing these links to home school parents. I am really pleased about the number of links in addition to the great content available on Math & Economics Resources. Such a big help for a busy single dad like me. I'd usually spend hours online looking for a good resource until I discovered your website. It was a breeze going through your page – you really did a good job here. Now your site is just a click away from my bookmark." "Hey Laurie, I just wanted to thank you for your Limitless!!! supply of web sites and info. I had been playing ' fill in the gaps' when I realized that there were some topics that should have been covered in school before I started homeschooling Nickolas, yet were never addressed! Your resources have been invaluable to us. You should receive the "Home schooling-God-Bless-You-What-Would-We-Do-Without-You" award! "I wanted to thank you for your reassuring and informative website on homeschooling. I share your opinions, which were on your personal information page, about how you believe family time is important and that there is so much time wasted in public education. I am moving to NYC in a couple of months, and when I read the homeschooling requirements in NY, I thought to myself, 'There's no way I can do this.' I panicked, thinking of how dreadful this move was going to be for my 12-year-old son, who would have to change schools in addition to moving to a new city. But after reading your website, which explained the requirements and gave tips on how to get started, I know I can do it, and I believe that there is no better city to be in for home schooling than New York City. Your advice has completely changed my feelings about homeschooling, and I now see the potential for the experience to enrich not just my son's life, but my own! Thank you so much!" "We are doing homeschooling this year (our first year), and the information you provide on your web is wonderful, and has been extremely helpful. Thanks." "Thanks for your great site. I have found a lot of important info there." "I just wanted to thank you for such a thorough site. Without your site I would have been at a loss as to how to begin my homeschooling journey! Thank you for all the samples you provide and the loads of information. I went to the Homeschooling office and hand delivered my LOI, within five days I received my IHIP forms. We're homeschooling for a week now, and all is going very well. My entire family thanks you!!" "You should win an award for the most comprehensive home school website... there is so much to explore on there and I'm thoroughly enjoying it... getting lots of new ideas. A great service to the homeschooling community. Many thanks!!! " "You are a lifesaver! This is an awesome site. Everything is easy. You have the right questions with the correct answers. I have looked at many sites for help but your site wins hands down! I have been looking for a sample of the IHIP but was unable to find one until now. Thank you very much. It is so appreciated! "I think your website is great. I shall definitely add it to my favorites!" "Full of information for those who are homeschooling or considering taking their child from school." "What a great resource for all families." "Such a treasure and gift to the homeschooling community." Parents are Opting Out of New York State Tests! Parents of schooled children are fighting back and boycotting the tests. Homeschoolers have fewer testing requirements and no pass/fail system in the scoring of tests. For more information, and to join the boycott, go to Change the Stakes. Download their flyer What parents need to know about opting out of state tests (pdf format). Note: Homeschoolers are not subject to the same testing rules and requirements as schooled students. Homeschoolers do not have to undergo tests each and every year (NYS homeschooling regulations require testing every other year through grades 4 – 8 and every year in grades 9 – 12 — parent may choose to test in other years). Also, it important to note that schooled kids are graded on these tests, and must score higher than the passing grade, while homeschoolers must show a score above 33rd percentile, which is the cut off for special ed. A homeschooler scoring below 33rd percentile only needs to show improvement the following year. More info on testing. Read the WNYC article: Colleges admissions are moving away from standardized tests. If you have any questions, please send an email — Laurie [at] HomeschoolNYC.com..